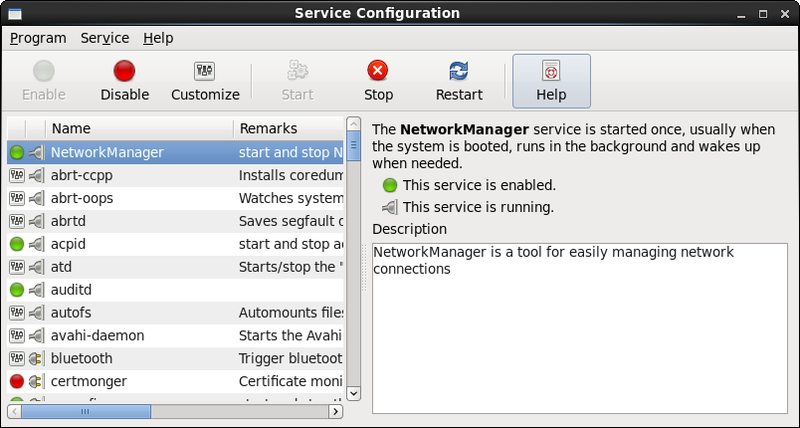 You can use the Service Configuration GUI (system-config-services) to start, stop, and restart a service, to enable or disable the system from running the service, and to customize the run levels at which the system runs the service. Alternatively, you can use commands such as service and chkconfig. Figure 3.1 shows the Service Configuration GUI with the NetworkManager service selected.